If you use the same Pushbullet account on multiple devices, you’ll notice one thing. The devices list on your Pushbullett account will quickly increase. This can get quite annoying if you are trying to push something to one phone and it goes to another. Another thing that can bug a lot of people is when you get two devices with the same name in the Pushbullet device list. Now, you can’t possibly know which one you will push your data to. To fix this, you can delete the old and unused devices from the device list in Pushbullet. 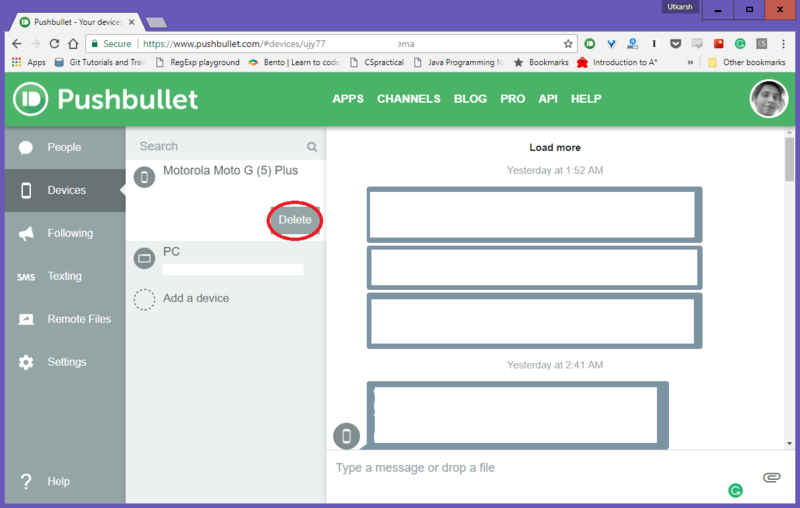 In your web browser, go to https://www.pushbullet.com/#devices devices. Log into your Pushbullet account and view the devices in the left-pane. In the devices list, click on the small triangle to reveal the options for the device you want to remove from your Pushbullet account. Click on the Delete button. how do you remove people? Go to https://www.pushbullet.com/#settings/people. Click on the big Delete button on the right.